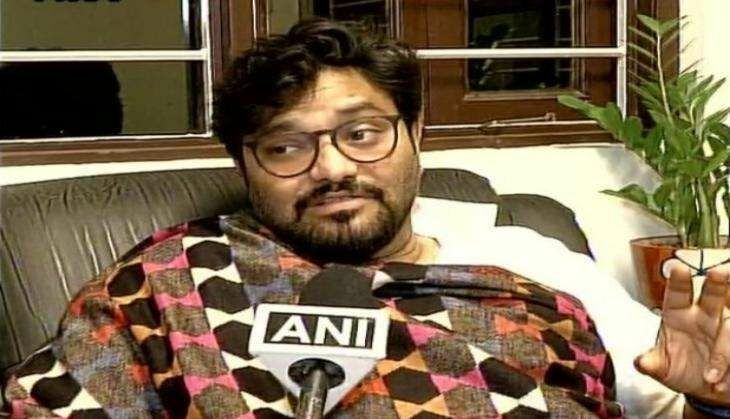 Asserting that during the Communist Party of India (Marxist) rule there was a free hand for goons, Union Minister of State and Bharatiya Janata Party (BJP) MP Babul Supriyo on Thursday alleged that under the regime of the Trinamool Congress (TMC), hooliganism has been taken to another level. "This is their tradition. What is most unfortunate is that a female chief minister has given a free hand to TMC hooligans and has kept them safe. During CPM rule, the condition was same but TMC has taken it to another level," said Supriyo. Supriyo also accused West Bengal Chief Minister Mamata Banerjee of tampering with evidence related to the Saradha and Rose Valley chit-fund scam. "I have been urging Mamata Banerjee since yesterday not to act childish saying 'arrest Babul Supriyo, arrest Sujan Chakraborty.' You have been in politics since long. You never cooperated with central agencies. You got the evidence destroyed by police in the Khagragarh Blast... The SIT which Didi constituted was formed to destroyed the documents related to Saradha and Rose Valley. If Didi has evidence against us, why doesn't she produce them?" he added. In contrast to the BJP minister's claim of TMC goons attacking his home, the ruling party in Bengal termed the entire incident 'concoctive' and that the attackers belonged to the saffron party itself. TMC MLA Sovan Deb Chatterjee said, "This is completely a blatant lie. There was no such attempt from the Trinamool Congress. The information which we have gathered... Agencies tell us that this is their concoctive story. They built up the story to come in the limelight. From the agencies (police) we have come to know that the boys who demonstrated the action were their own men." Deb asserted that if the TMC would initiate a fight, it would initiate it politically and would fight it out with Prime Minister Narendra Modi instead of a 'tiny man' like Supriyo. "They appeared to be from Trinamool Congress but there was no such attempt as we don't believe in such actions... We will fight politically. We will fight Modi. He (Babul Supriyo) is a very tiny man as compared to Modi. So, we are going to fight out Modi. We are not going to fight out Babul Supriyo," he added. Supriyo yesterday alleged that TMC 'goons' tried to break into the apartment in Kolkata where his parents stay. He took to Twitter to vent his ire. "TMC Goons trying 2 break into my Apartment in Kailash Bose Street where my MumDad are stayingâ€¢ How shameful is this," Supriyo tweeted. Tubelight: Kabir Khan recreates Kashmir in Mumbai for Salman Khan! READ NEXT >> Tubelight: Kabir Khan recreates Kashmir in Mumbai for Salman Khan!